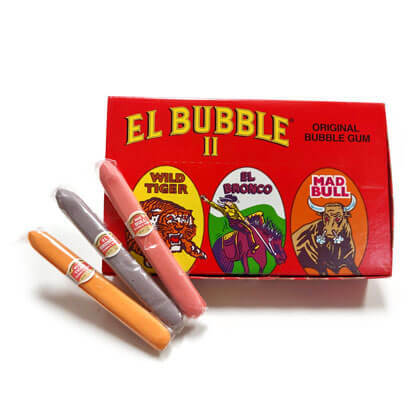 Yummy bubble gum cigars. Assorted orange, purple grape and pink strawberry pink. 36 cigars at .7 oz each. Artificial flavors. Made in Canada.